Create your own HP LaserJet 3000 color toner pack / bundle with our flexible quantity discount pricing. Mix and match products so you are only purchasing what you need, but also maximizing your savings. Compatible Cyan Toner Cartridge with 3,500 page yield. Equivalent to HP part number(s): Q7561A, 314A Cyan. Fits the following model(s): HP 3000, HP 3000N, HP 3000DN. Remanufactured Magenta Toner Cartridge with 3,500 page yield. Equivalent to HP part number(s): Q7563A, 314A Magenta. Fits the following model(s): HP 3000, HP 3000N, HP 3000DN. Remanufactured Yellow Toner Cartridge with 3,500 page yield. Equivalent to HP part number(s): Q7562A, 314A Yellow. 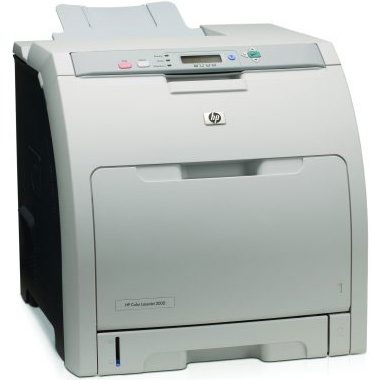 Fits the following model(s): HP 3000, HP 3000N, HP 3000DN. Remanufactured Black Toner Cartridge with 6,500 page yield. Equivalent to HP part number(s): Q7560A, 314A Black. Fits the following model(s): HP 3000, HP 3000N, HP 3000DN. Buy our high quality compatible toner for HP LaserJet 3000 with confidence. Join thousands of happy customers who have found our compatible products are equivalent in page yield and print quality. For our compatible products, we offer a 100% Satisfaction Guarantee allowing you to return products within 6 months if you are unsatisfied. 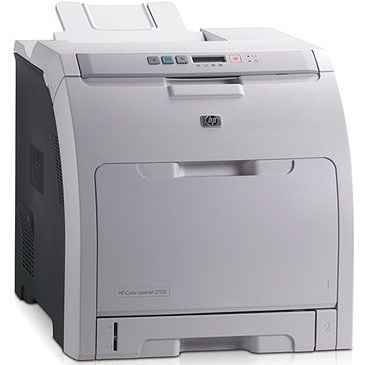 The HP LaserJet 3000 is a printer that includes a variety of connective options, making it quick and easy for you to share and network information across the office. It comes with printer drivers and installation software that make setup up an easy task. The 3000 uses HP ImageREt 2400 printer toner technology to produce documents with professional quality. Equivalent print quality can also be achieved with our remanufactured HP toner cartridges. This color laser unit has in-line printing technology that turns out accurate and precise results. The 3000 can print its first page in as fast as 11 seconds. This printer's monthly duty cycle of 60,000 pages makes high volume output rates an achievable goal. If you do not need color output and just want black and white, consider the discontinued HP 4 toner printer. Using black HP 3000 toner, you will be able to print a snappy rate of up to 29 pages per minute. Color documents print at a maximum speed of 15 pages per minute. This machine can print a resolution of 600x600 dpi using black and color LaserJet 3000 toner. Its manual duplex printing options make it simple to save time, supplies and money when using this unit. The 3000 prints with 4 color toners, similar to the LaserJet 3500 toner printer, that are available in individual containers. Its cyan, magenta, yellow and black HP 3000 toner cartridges provide rich, quality color for pictures, while its text documents print with sharp quality. This unit also allows you to directly control its color adjustment, allowing photos and other documents to turn out with the exact quality you desire. This control lets you directly manage and adjust the amount of color this unit's LaserJet 3000 toner cartridges use for each document. The 3000 comes with two input trays that can, together, store a maximum of up to 500 sheets. It also has an output tray that can hold approximately 250 sheets. This laser unit has the ability to print HP 3000 toner on media like glossy paper, envelopes, cardstock and labels. The HP LaserJet 3000 includes a Jetdirect fast ethernet print server and a host USB accessory slot that can give you versatility in a demanding workplace.